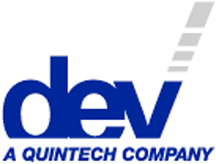 [SatNews] At IBC 2015 in Amsterdam, September 11-15, DEV Systemtechnik, a Quintech Company, will unveil its new 8² Distributing Matrix (“Eight Squared”) product, which offers outstanding flexibility in 1 RU. With the launch of the new 8² Distributing Matrix, DEV/Quintech’s Matrix product family now offers a full range of next generation RF matrix switches designed to meet a variety of sizes, from small to extremely large. DEV Systemtechnik Eight Squared Distributing Matrix. For small configuration environments such as SNG vehicles, the compact 8² Distributing Matrix offers an ideal mix of cost and performance—plus unique advantages. The new 82 Matrix’s optical inputs, unique redundancy options, LNB powering, full color display user interface, and dual redundant field replaceable power supplies give cable, satellite and broadcast facilities the most reliability and flexibility available on the market. The 82 is suitable for various redundancy purposes, and can be operated in autonomous mode. The 8² is available in sizes 4x4, 4x8, 8x4 or 8x8, and easily field-upgradeable to the maximum size of 8x8, without any disruption of service. Various connector types, 50 or 75 Ohm, optical inputs, redundancy options, TRAC and field replaceable power supplies let customers equip the device to their needs. A 9th output comes as a standard feature for monitoring purposes. Additional features such as variable gain and tilt deliver optimized and linear RF signal transmission. The 82 Matrix bridges the range in DEV’s matrix product family to its larger, mid-sized ARCHIMEDES L-Band Matrix Switch, which is designed for symmetrical or asymmetrical configurations of up to 64x64 inputs and outputs in just 4 RU. For extremely large requirements, the XTREME 256 features 128x128 ports in 12 RU. All DEV/Quintech matrices can be cascaded to create larger configurations, giving customers unique flexibility and modularity. Visit DEV and Quintech at IBC 2015, Hall 1, Stand 1.B31 and discover why our L-Band Matrices set new benchmarks in performance, size and value.